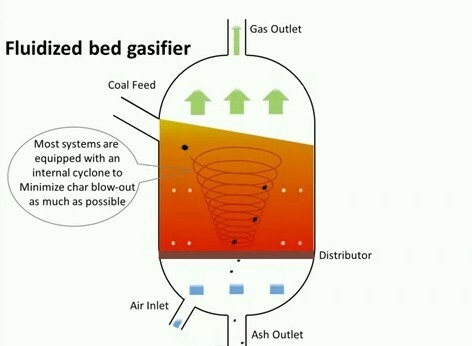 In entrained-flow gasifiers, coal fines and the oxidant (air or oxygen) and/or steam are fed into the top of the gasifier. This results in the oxidant and steam surrounding or entraining the coal particles as they flow through the gasifier. Gasifiers of this type operate at very high temperatures to melt coal ash into inert slag. The fine coal feed and high operating temperature allow the gasification reaction to occur at a very high rate (typical residence time is on the order of few seconds), with high carbon conversion efficiencies (98-99.5%). 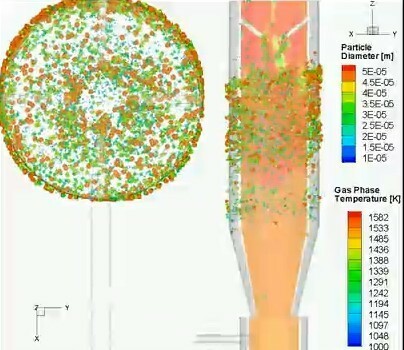 The tar, oil, phenols, and other liquids produced from devolatization of coal inside the gasifier are decomposed into hydrogen (H2), carbon monoxide (CO)and small amounts of light hydrocarbon gases. 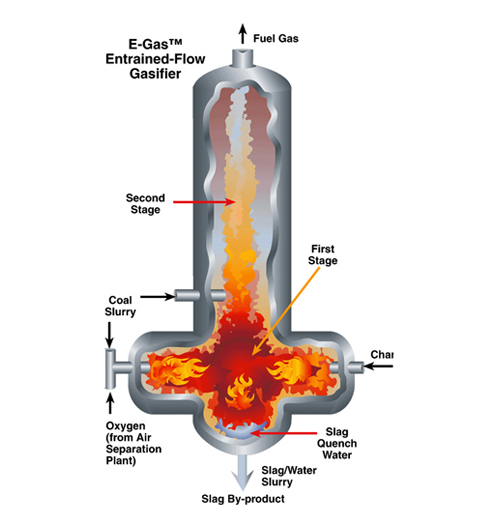 Entrained-flow gasifiers have the ability to handle practically any coal feedstock and produce a clean, tar-free, syngas.The fine coal feed can be fed to the gasifier in either a dry or slurry form. The former uses a lock hopper system, while the latter relies on the use of high-pressure slurry pumps. The slurry feed is a simpler operation, but it introduces water into the reactor which needs to be evaporated. The result of this additional water is a product syngas with higher H2 to CO ratio, but with a lower gasifier thermal efficiency. The feed preparation system needs to be evaluated along with other process design alternatives, for a particular application.